Rapha is a bicycle for the serious cyclist. They have very cool bikes and biking gear. It's also on the pricey side. 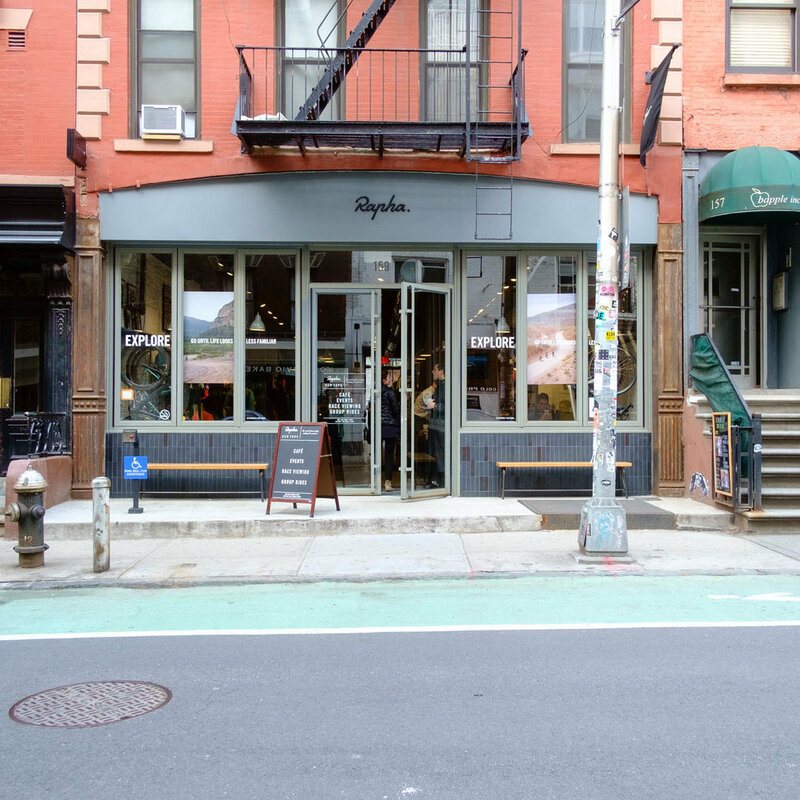 I'm not a cyclist, but you don't need to be a cyclist to visit the Rapha store in Soho. I found it my accident. Cyclists bring their bicycles into the shop and hang them on a rack while shopping, watching bicycle races and ordering something to drink. They have a very good café latté and they have a few seats indoors and a really nice outdoor seating area. It is often difficult to find a seat in a cafe in this city. I've always found one at Rapha. Open daily from 8am.